Malcolm James McCormick (January 19, 1992 – September 7, 2018), known professionally as Mac Miller, was an American rapper, singer, and record producer. Born in Pittsburgh, Pennsylvania, Miller began his career in the city's hip hop scene in 2007, at the age of fifteen. In 2010, he signed a record deal with Pittsburgh-based independent label Rostrum Records, with whom he had his breakthrough with the mixtapes K.I.D.S. (2010) and Best Day Ever (2011), including the single "Donald Trump". Miller's debut studio album, Blue Slide Park (2011), reached number-one on the US Billboard 200, the first independently distributed album to top the chart since 1995. In 2013, Miller launched his own record label imprint, REMember Music. After his second studio album, Watching Movies with the Sound Off (2013), he left Rostrum and signed with the major label Warner Bros. Records in October 2014. With them, he released three studio albums: GO:OD AM (2015), The Divine Feminine (2016), and Swimming (2018). For Swimming, he was posthumously nominated for a Grammy Award for Best Rap Album. He also served as a record producer for various artists, including himself, under the pseudonym Larry Fisherman. Not to be confused with the cross-country skier, Mack Miller. Point Breeze, Pittsburgh, Pennsylvania, U.S.
Malcolm James McCormick (January 19, 1992 – September 7, 2018), known professionally as Mac Miller, was an American rapper, singer, and record producer. Born in Pittsburgh, Pennsylvania, Miller began his career in the city's hip hop scene in 2007, at the age of fifteen. In 2010, he signed a record deal with Pittsburgh-based independent label Rostrum Records, with whom he had his breakthrough with the mixtapes K.I.D.S. (2010) and Best Day Ever (2011), including the single "Donald Trump". Miller's debut studio album, Blue Slide Park (2011), reached number-one on the US Billboard 200, the first independently distributed album to top the chart since 1995. In 2013, Miller launched his own record label imprint, REMember Music. After his second studio album, Watching Movies with the Sound Off (2013), he left Rostrum and signed with the major label Warner Bros. Records in October 2014. With them, he released three studio albums: GO:OD AM (2015), The Divine Feminine (2016), and Swimming (2018). For Swimming, he was posthumously nominated for a Grammy Award for Best Rap Album. He also served as a record producer for various artists, including himself, under the pseudonym Larry Fisherman. Miller struggled with substance abuse, which was often referenced in his lyrics. Mac Miller was born Malcolm James McCormick on January 19, 1992, in Point Breeze, Pittsburgh, Pennsylvania. He was the son of Karen Meyers, a photographer, and Mark McCormick, an architect, and had an older brother, Miller. His mother is Jewish, and his father is Christian. While he and his brother were raised Jewish, he attended a Catholic grade school to "ensure a good education and a chance to play football and lacrosse." He later went to Winchester Thurston School, and graduated from Taylor Allderdice High School. A self-taught musician, Miller played piano, guitar, drums, and bass by the age of six. He first started rapping at the age of fourteen. Before that, he wanted to be a singer. In high school, he decided to focus on his hip hop career, later noting, "Once I hit 15, I got real serious about it and it changed my life completely ... I used to be into sports, play all the sports, go to all the high school parties. But once I found out hip-hop is almost like a job, that's all I did." He originally went by the name Easy Mac and released the mixtape But My Mackin' Ain't Easy in 2007 at the age of fifteen. By 2009, he established himself as Mac Miller, and released two mixtapes: The Jukebox: Prelude to Class Clown and The High Life. At the 2010 Pittsburgh Hip Hop Awards, Miller won 21 & Under of the Year, and Best Hip Hop Video for "Live Free". Miller performing at the NYC Governor's Ball in 2011. Miller signed with the independent label Rostrum Records in July 2010, in the lead-up to his mixtape K.I.D.S. Rostrum president Benjy Grinberg met Miller while recording with Wiz Khalifa at ID Labs. Although Grinberg started giving Miller advice, he did not show interest in getting involved with his career until Miller began work on K.I.D.S., when he "noticed a maturation in his sound and approach to his music." By that point Miller had started attracting interest from other record companies, but chose Rostrum due to its location in his hometown and association with Wiz Khalifa. K.I.D.S. was released by Rostrum in August 2010. During this time, Miller broke through with a focus on social media engagement, digital sales, and persistent touring, due to a lack of radio airplay or mainstream features. In February 2011, Miller was one of eleven rappers featured in XXL's annual "Freshman Class" list of that year. In March 2011, Miller released his fifth mixtape, Best Day Ever. The single "Donald Trump" became his first song to chart on the US Billboard Hot 100, peaking at number 75, and received a platinum certification from the Recording Industry Association of America (RIAA). Also in March 2011, he released a six-track EP, On and On and Beyond, which became his first entry into the US Billboard 200 albums chart at number 55. In October 2011, Miller released a 13-song mixtape, I Love Life, Thank You. Miller's debut studio album, Blue Slide Park, released on November 8, 2011. With 144,000 first week sales, it debuted atop the Billboard 200, the first independently distributed album to do so since Tha Dogg Pound's 1995 Dogg Food. Three songs from the album, "Smile Back", "Frick Park Market", and "Party on Fifth Ave." charted on the Billboard Hot 100, peaking at number 55, 60, and 64, respectively. Blue Slide Park was certified gold in the United States and Canada. On March 23, 2012, Miller released his seventh mixtape, Macadelic. Its single, "Loud", peaked at number 53 on the Billboard Hot 100. In mid-2012, Miller premiered two songs produced by Pharrell Williams, from a planned collaboration EP, Pink Slime. At least ten tracks were completed by August 2012 according to Miller, but the project was not released despite a multi-year effort. Miller released an EP, You, under the alias Larry Lovestein & The Velvet Revival on November 21, 2012. Rather than rap, the EP features Miller crooning over lounging jazz instrumentals. In early 2013, Miller founded the record label imprint REMember Music, named after a friend who died. Miller was featured on a six-episode reality series, Mac Miller and the Most Dope Family, on MTV2. It followed the production of his upcoming second studio album, Watching Movies with the Sound Off, and premiered on February 26, 2013. On March 4, 2013, Miller released a mixtape, Run-On Sentences Vol. 1, solely featuring instrumentals made by himself, under his production alias Larry Fisherman. Later that month, Miller featured on actress and singer Ariana Grande's lead single "The Way" for her debut album Yours Truly; the song is Miller's highest peak on the Billboard Hot 100 at number nine, and was certified triple platinum by the RIAA. Watching Movies with the Sound Off released on June 18, 2013, to generally positive reviews, with most critics praising his new psychedelic sound. The album debuted at number three on the Billboard 200, selling 102,000 copies in its first week. The album spawned three singles; "S.D.S. ", "Watching Movies" and "Goosebumpz". The album featured guest appearances from Schoolboy Q, Ab-Soul, Earl Sweatshirt, Tyler, the Creator, Action Bronson and Jay Electronica. According to Miller, the album is "very introspective and very personal so it's kind of throwing it all out there and seeing what happens." In collaboration with Vince Staples, Miller produced the mixtape Stolen Youth. Under the moniker Delusional Thomas, Miller self-produced and released an eponymous mixtape, Delusional Thomas, on October 31, 2013. On December 17, 2013, Miller released the live album, Live from Space, recorded during his Space Migration Tour. Miller parted ways with Rostrum Records when his contract expired in January 2014. On May 11, 2014, Miller independently released his tenth solo mixtape, Faces. Colin Stutz of Billboard wrote that the 24-track mixtape "shows [Miller] introspective, ruminating over his drug use, fame and past." Pitchfork's Craig Jenkins called Faces his "most consistently honest and personal work to date". Miller later reflected on Faces, noting his drug-addled lifestyle while recording it. The second season of Miller's reality series Mac Miller and the Most Dope Family aired on MTV2 in mid-2014. In October 2014, Miller signed a recording contract and distribution deal for REMember Music with the major label, Warner Bros. Records, for a reported US$10 million. Miller's first studio album with Warner Bros., GO:OD AM, was released on September 18, 2015. It debuted at number four on the Billboard 200, with 87,000 album-equivalent units. The album and the single "Weekend", featuring American singer Miguel, were certified gold and platinum by the RIAA, respectively. Miller performing at the Splash! Festival 2017 in Germany. Miller began work on his next studio album immediately after completing GO:OD AM, wanting to explore the emotion of love. The Divine Feminine released on September 16, 2016. The album features Miller singing nearly as much as rapping, and incorporates genres such as R&B, jazz and funk. It received positive reviews, with Pitchfork stating that the album was succinct and refined in its portrayal of love, consequently accentuating Miller's artistry. The Divine Feminine debuted at number two on the Billboard 200 and number one on Billboard's Top R&B/Hip-Hop Albums chart with 48,000 units. Miller's fifth studio album, Swimming, was released on August 3, 2018, to positive reviews from critics. Pitchfork described the album as consisting of "wistful soul and warm funk", through his exploration of heartbreak and his own mental health issues. Swimming debuted at number three on the Billboard 200 with 66,000 units, his fifth consecutive top five-charting album release in the United States. After his death in September 2018, the single "Self Care" rose to number 33 on the Billboard Hot 100, his highest peak as lead artist. Swimming was nominated for Best Rap Album at the 61st Annual Grammy Awards. Miller included Big L, Lauryn Hill, Beastie Boys, Outkast, and A Tribe Called Quest among his influences. He had a close relationship with fellow Pittsburgh rapper Wiz Khalifa, saying "Wiz has been a big brother to me with this music thing so far. Our relationship is beyond music. He really is just my homie, whether I will be making music or not." Miller spoke openly about his struggle with substance abuse and depression. To manage stress during his Macadelic Tour in 2012, Miller began taking promethazine, and later became addicted to purple drank, also known as "lean". Miller told Complex in January 2013: "I love lean; it's great. I was not happy and I was on lean very heavy. I was so fucked up all the time it was bad. My friends couldn't even look at me the same. I was lost." He quit taking promethazine in November 2012, before shooting his reality show Mac Miller and the Most Dope Family. In 2014, Miller was taking drugs daily, and felt that the final track on Faces, "Grand Finale", was "supposed to be the last song [he] made on Earth." Recounting that period to Billboard in August 2015, Miller was "definitely way healthier" but not "completely" sober. After stating he "hated" being sober in a February 2016 documentary, Miller had become sober for three months by October 2016, noting his better mood and maintained creativity. However, when asked about his sobriety in April 2017, Miller said he was now "living regularly". Miller was in an on-again, off-again relationship with Nomi Leasure, whom he met in middle school, for seven years until 2016. Many of the songs on his mixtape Macadelic were about their relationship. Miller dated singer Ariana Grande from August 2016 to May 2018. In February 2011, while on tour in Upstate New York, Miller and his friends were arrested for possession of marijuana for which they had to spend the night in jail. The case was settled. Producer Lord Finesse filed a $10 million lawsuit against Miller, Rostrum Records and DatPiff on July 9, 2012, for the use of a sample of Finesse's song "Hip 2 Da Game" used in Miller's 2010 mixtape song "Kool-Aid and Frozen Pizza". In December 2012, the lawsuit was settled out of court with its stipulations kept confidential. In March 2015, the band Aquarian Dream filed a $150,000 lawsuit against Miller for sampling the band's song "Yesterday (Was so Nice Today)" in the song "Therapy" on his 2014 mixtape Faces. Miller was arrested in May 2018 on charges of driving under the influence and hit and run after allegedly crashing into and knocking down a power pole and fleeing the scene with two passengers. Police arrived at the scene, ran Miller's license plate number, and obtained his address. Miller confessed to the crash when police arrived at his home. Miller was taken into custody and released on $15,000 bail. In August 2018, Miller was charged with two counts of driving under the influence for the incident. On September 7, 2018, Miller was found unresponsive in his Studio City home by his personal assistant, who called 911 and performed CPR until paramedics arrived. Miller was pronounced dead at the scene at 11:51 a.m. (PDT), from a suspected drug overdose. He had been scheduled for a video shoot on the day of his death. Miller was buried at Homewood Cemetery in his hometown of Pittsburgh, in a Jewish funeral. On November 5, 2018, the Los Angeles County Coroner's office determined that Miller died from an accidental drug overdose due to a "mixed drug toxicity" of fentanyl, alcohol, and cocaine. In his will, Miller named his mother, father, and brother as beneficiaries. 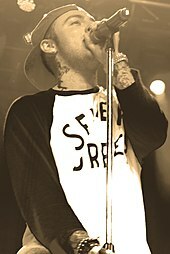 On September 11, 2018, thousands of fans held a vigil in Miller's honor at Pittsburgh's Blue Slide Park, in respect to his 2011 debut album of the same name. A tribute concert, Mac Miller: A Celebration of Life, was held on October 31, 2018, in Los Angeles. Many of his friends and collaborators performed or provided messages at the concert; proceeds raised benefited the newly-established Mac Miller Circles Fund, which aims to support youth arts and community-building programs in his memory. The charity had raised over $700,000 by January 2019. 1 2 3 Drysdale, Jennifer (September 7, 2018). "Everything Mac Miller Has Said About Drug Abuse, Depression and Death". Entertainment Tonight. Retrieved January 13, 2019. 1 2 3 Browne, Rembert (August 20, 2015). "Mac Miller Finds the Way". Grantland. Retrieved December 30, 2018. 1 2 3 Maloney, Devon (November 4, 2011). "Mac Miller: The Billboard Cover Story". Billboard. Retrieved February 19, 2019. ↑ Mervis, Scott (November 8, 2011). "Mac Miller: From blue slide to Billboard". Pittsburgh Post-Gazette. Retrieved February 19, 2013. ↑ Hyman, Dan (November 15, 2018). "Mac Miller's Last Days and Life After Death". Rolling Stone. Retrieved February 19, 2019. 1 2 Tobias, Jonathan (November 4, 2010). "DXnext: Mac Miller". HipHopDX. Retrieved November 24, 2011. ↑ Phillips, Rashad (March 9, 2011). "Mac Miller Talks Jewish Heritage". HipHopDX. Retrieved November 24, 2011. ↑ Falk, Joshua (September 3, 2011). "Winchester Thurston celebrates 125 years". Pittsburgh Post-Gazette. Retrieved December 31, 2018. 1 2 Bowman, Patrick (March 31, 2011). "Allderdice grad Mac Miller garners national attention with his latest mixtape". Pittsburgh City Paper. Retrieved November 24, 2011. 1 2 3 Todd, Deborah M. (August 12, 2010). "Like Wiz Khalifa, rapper Mac Miller is another talent from Allderdice". Pittsburgh Post-Gazette. Retrieved February 23, 2011. ↑ Ahmed, Insanul (January 29, 2013). "He Started Rapping When He Was 14". Complex. Retrieved January 30, 2013. ↑ Ahmed, Insanul (January 29, 2013). "He Tried to Be a Singer/Songwriter Before Becoming a Rapper". Complex. Retrieved January 30, 2013. ↑ "Pittsburgh Hip Hop Awards Winners". New Pittsburgh Courier. March 3, 2010. Retrieved December 28, 2018. ↑ Skoroma (July 21, 2010). "DX News Bits: Mac Miller, Skiddalz, Joell Ortiz". HipHopDX. Retrieved December 30, 2018. 1 2 3 "Interview with Benjy Grinberg, president of Rostrum Records and A&R and manager for Wiz Khalifa, Mac Miller". HitQuarters. October 17, 2011. Retrieved October 19, 2011. ↑ Lipshutz, Jason (September 10, 2018). "Mac Miller's 'Blue Slide Park' Made Chart History in 2011 — And Pushed Him To Strive For More". Billboard. Retrieved February 19, 2019. ↑ Blanco, Alvin (February 22, 2011). "XXL magazine unveils 2011 'Freshman' class". MTV. Retrieved December 28, 2018. ↑ "XXL Freshmen 2011 | Mac Miller". XXL. May 25, 2009. Retrieved November 24, 2011. 1 2 Jesse (March 4, 2011). "Mac Miller talks Best Day Ever". XXL. Retrieved December 29, 2018. ↑ Ryan, Reed (May 25, 2016). "Mac Miller Preps Reissue of Breakout Mixtape 'Best Day Ever'". Rolling Stone. Retrieved December 29, 2018. 1 2 3 4 "Mac Miller Chart History". Billboard. Retrieved November 7, 2018. 1 2 3 "American certifications – Mac Miller". Recording Industry Association of America. Retrieved February 19, 2019. ↑ Caulfield, Keith (September 10, 2018). "Mac Miller's Music Streams Increased 970% Following Death". Billboard. Retrieved February 19, 2019. ↑ Markman, Rob (December 28, 2011). "Mac Miller talks 2011 highlights, 'Blue Slide Park' debut". MTV. Retrieved December 28, 2018. ↑ Sinha-Roy, Piya (November 16, 2011). "Rapper Mac Miller straight to No.1 in indie victory". Reuters. Retrieved December 28, 2018. ↑ Nazim, Hafeezah (November 8, 2018). "Mac Miller's GO:OD AM has officially gone gold". The Fader. Retrieved December 29, 2018. ↑ "Canadian certifications – Mac Miller". Music Canada. Retrieved February 19, 2019. ↑ Markman, Rob (March 16, 2012). "Mac Miller announces Macadelic release date at Woodies". MTV. Retrieved February 19, 2019. 1 2 Markman, Rob (August 7, 2012). "Mac Miller and Pharrell writing Pink Slime's last chapter together". MTV. Retrieved December 31, 2018. ↑ Hyman, Dan (December 10, 2013). "Mac Miller's 'Pink Slime' EP Oozes Again". Rolling Stone. Retrieved December 31, 2018. ↑ Darville, Jordan (September 8, 2015). "Mac Miller discusses detoxing with Rick Rubin, recording with Cam'ron and Pharrell". The Fader. Retrieved December 31, 2018. ↑ Horowitz, Steven (November 21, 2012). "Mac Miller Releases "You" Free EP As Larry Lovestein & The Velvet Revival". HipHopDX. Retrieved December 29, 2018. ↑ Ahmed, Insanul (January 29, 2013). "He's Starting His Own Label, REMember Music". Complex. Retrieved January 30, 2013. ↑ Webb, Rory D. (March 20, 2013). "Mac Miller's New REMember Music label highlights Pittsburgh acts". Pittsburgh City Paper. Retrieved December 29, 2018. ↑ Horowitz, Steven J. (January 20, 2013). "Mac Miller & MTV2's "Mac Miller And The Most Dope Family" Reality Show Trailer". HipHopDX. Retrieved February 19, 2013. ↑ Sryon (March 4, 2013). "Mac Miller "Run-On Sentences: Vol. 1" Mixtape Stream & Download". HipHopDX. Retrieved March 9, 2015. ↑ Lipshutz, Jason (March 28, 2013). "Ariana Grande Talks Breakout Hit 'The Way': Watch New Music Video". Billboard. Retrieved December 29, 2018. ↑ Paine, Jake (June 26, 2013). "Hip Hop Album Sales: The Week Ending 6/23/2013". HipHopDX. Retrieved August 25, 2013. ↑ Tardio, Andres (September 10, 2012). "Mac Miller Says "TDE Will Be A Big Part" Of Next Album, Talks Bond With ScHoolboy Q, Ab-Soul & Cam'ron". HipHopDX. Retrieved November 2, 2012. 1 2 3 Ahmed, Insanul (January 28, 2013). "Mac Miller: King of the Hill (2013 Online Cover Story)". Complex. Retrieved January 30, 2013. ↑ "Interview: Mac Miller Speaks On Winning Complex's Man Of Next Year". Complex. Retrieved February 19, 2013. ↑ Ahmed, Insanul (January 29, 2013). "He's Producing an EP for Vince Staples". Complex. Retrieved January 30, 2013. ↑ X, Dharmic (November 1, 2013). "Mixtape: Mac Miller (as Delusional Thomas) "Delusional Thomas"". Complex. Retrieved December 29, 2018. ↑ Ortiz, Edwin (December 3, 2013). "Mac Miller Shares Cover Art & Tracklist For Upcoming Project "Live From Space" with The Internet". Complex. Retrieved January 25, 2019. ↑ Markman, Rob (January 14, 2014). "Exclusive: Mac Miller, Rostrum Records announce end of deal". MTV. Retrieved December 29, 2018. 1 2 Stutz, Colin (May 11, 2014). "Mac Miller on New Mixtape 'Faces': 'Don't Tell My Mama I Got a Drug Problem'". Billboard. Retrieved December 29, 2018. ↑ Jenkins, Craig (May 22, 2014). "Mac Miller: Faces Album Review". Pitchfork. Retrieved December 29, 2018. ↑ Ivey, Justin (May 11, 2017). "Mac Miller says he wasn't on Planet Earth when he made 'Faces' project". XXL. Retrieved December 29, 2018. ↑ Grow, Kory (June 25, 2014). "'Mac Miller and the Most Dope Family' to Take on the World This Summer". Rolling Stone. Retrieved December 29, 2018. ↑ Zeichner, Naomi (October 21, 2014). "Exclusive: Mac Miller Signs His Label To Warner Bros Records". The Fader. Retrieved October 21, 2014. ↑ Thompson, Paul (August 6, 2015). "Mac Miller's new album drops September 18". XXL. Retrieved December 29, 2018. ↑ Caulfield, Keith (September 27, 2015). "Seven Debuts Hit Top 10 of Billboard 200 Chart, Led by Drake & Future, Lana Del Rey and Mac Miller". Billboard. Retrieved January 2, 2019. ↑ Aniftos, Rania (November 8, 2018). "Mac Miller's 'GO:OD AM' Is Certified Gold". Billboard. Retrieved December 29, 2018. ↑ Garcia, Patricia (September 27, 2016). "Mac Miller on Love, Ariana Grande, and the Last Thing That Made Him Cry". Vogue. Retrieved January 3, 2019. 1 2 Norris, John (September 14, 2016). "Mac Miller Talks Ariana Grande, Donald Trump, Making the Soulful Celebration of Women & Love 'The Divine Feminine'". Billboard. Retrieved January 3, 2019. ↑ Morris, Jessie (July 28, 2016). "Mac Miller Announces 'The Divine Feminine' Album and Shares New Song "DANG!" f/ Anderson .Paak". Complex. Retrieved July 28, 2016. ↑ Pearce, Sheldon (September 17, 2016). "Mac Miller: The Divine Feminine Album Review". Pitchfork. Retrieved November 7, 2018. ↑ Weinstein, Max (September 25, 2016). "Mac Miller's 'The Divine Feminine' album nabs No. 2 spot on Billboard 200". XXL. Retrieved January 3, 2019. ↑ Mendizabal, Amaya (September 29, 2016). "Mac Miller Nets Second No. 1 on Top R&B/Hip-Hop Albums With 'Divine Feminine'". Billboard. Retrieved January 3, 2019. ↑ "Swimming by Mac Miller Reviews and Tracks". Metacritic. Retrieved December 28, 2018. ↑ Rytlewski, Evan (August 3, 2018). "Mac Miller: Swimming Album Review". Pitchfork. Retrieved December 28, 2018. ↑ Caulfield, Keith (August 12, 2018). "Travis Scott's 'Astroworld' Bows at No. 1 on Billboard 200 Chart With Second-Largest Debut of 2018". Billboard. Retrieved November 7, 2018. ↑ Zellner, Xander (September 18, 2018). "Mac Miller Charts Three Songs on Billboard Hot 100, Led by 'Self Care' in Top 40". Billboard. Retrieved December 29, 2018. ↑ Burke, Minyvonne (December 7, 2018). "Mac Miller receives his first-ever Grammy nomination months after death". NBC News. Retrieved December 28, 2018. ↑ "Mac Miller". Rostrum Records. Archived from the original on June 3, 2011. Retrieved May 22, 2011. 1 2 Gale, Alex (August 12, 2015). "Mac Miller on Sobering Up, His Nemesis Donald Trump and the Drake-Meek Mill Beef". Billboard. Retrieved January 14, 2019. ↑ Gore, Sydney (October 3, 2016). "Mac Miller Talks About Sobriety, Being In Love, And Why He's Not Voting For Donald Trump". Nylon. Retrieved January 14, 2019. ↑ Chikhoune, Ryma (April 24, 2017). "Mac Miller on Coachella, Girlfriend Ariana Grande, and Settling Into His Happy Place". W. Retrieved January 14, 2019. 1 2 Zeichner, Naomi (June 5, 2013). "Interview: Mac Miller". The Fader. Retrieved June 25, 2013. ↑ Quinn, Dave (September 8, 2018). "Mac Miller's Ex-Girlfriend Nomi Leasure Honors Rapper After His Death: 'You Changed My Life'". People. Retrieved January 15, 2019. ↑ Vulpo, Mike (May 9, 2018). "Ariana Grande and Mac Miller Break Up". E! News. Retrieved December 28, 2018. ↑ Ahmed, Insanul (November 29, 2011). "Interview: The Night Mac Miller Spent In Jail". Complex. Retrieved January 30, 2013. ↑ Horowitz, Steven J (July 13, 2012). "For Promotional Use Only?". Billboard. Retrieved February 19, 2016. ↑ Kaufman, Gil (January 16, 2013). "Mac Miller Settles $10 Million Lord Finesse Lawsuit". MTV. Retrieved February 19, 2013. ↑ Frydenlund, Zach (March 19, 2015). "Mac Miller Sued By '70's Soul and Funk Band Aquarian Dream". Complex. Retrieved October 14, 2017. ↑ Hautman, Nicholas (May 17, 2018). "Mac Miller Arrested on DUI and Hit-and-Run Charges". Us Weekly. Retrieved May 19, 2018. ↑ Saponara, Michael (August 21, 2018). "Mac Miller Charged With DUI Following May Crash: Report". Billboard. Retrieved December 28, 2018. ↑ Winton, Richard (September 7, 2018). "Mac Miller found dead inside his Studio City home; drug overdose suspected". Los Angeles Times. Retrieved September 7, 2018. ↑ Blankstein, Andrew; Li, David K. (November 5, 2018). "Rapper Mac Miller died of a drug overdose". NBC News. Retrieved February 21, 2019. ↑ Crabtree, Erin (September 8, 2018). "Mac Miller Was Scheduled to Shoot Music Video on the Day He Died". Us Weekly. Retrieved December 28, 2018. ↑ Vasquez, Whitney; Trock, Gary (September 15, 2018). "Mac Miller to Be Buried at Pittsburgh Cemetery Used in His Music Video". TheBlast.com. Retrieved December 28, 2018. ↑ Klinkenberg, Brendan (November 5, 2018). "Mac Miller's Cause of Death: Accidental Fentanyl, Cocaine Overdose". Rolling Stone. Retrieved November 5, 2018. ↑ Contreras, Cydney (September 14, 2018). "Mac Miller's Will Revealed: Who His Fortune Will Go To". E! News. Retrieved January 2, 2019. ↑ Monroe, Jazz (September 12, 2018). "Mac Miller Fans Hold Vigil at Pittsburgh's Blue Slide Park". Pitchfork. Retrieved November 7, 2018. ↑ Mizoguchi, Karen; Merrett, Robyn (November 1, 2018). "Mac Miller Remembered by Travis Scott, John Mayer and More During Celebration of Life Concert". People. Retrieved January 2, 2019. ↑ Aniftos, Rania (January 2, 2019). "The Mac Miller Circle Fund Has Raised $700K: Report". Billboard. Retrieved January 3, 2019. ↑ Ng, Philiana; Schillaci, Sophie (March 15, 2012). "Nick Cannon, Lucy Hale, Mac Miller and Heather Morris to Guest Host 'Punk'd'". The Hollywood Reporter. Retrieved January 17, 2019. ↑ "Ridiculousness Season 3 Episode 2: Mac Miller". TV Guide. Retrieved January 17, 2019. ↑ "Ridiculousness Season 7 Episode 3: Mac Miller II". TV Guide. Retrieved January 17, 2019. ↑ Flemming, Jack (November 16, 2018). "Studio City pad leased out by late rapper Mac Miller hits the market at $2.79 million". Los Angeles Times. Retrieved January 17, 2019. ↑ "Promo: Watch Snoop & Mac Miller in an Exclusive Clip from Scary Movie 5!". Complex. April 9, 2013. Retrieved January 17, 2019. ↑ "Loiter Squad – Stone Cold Stunner". Adult Swim. Retrieved January 17, 2019. 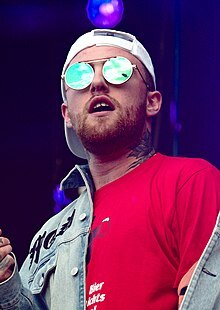 Wikimedia Commons has media related to Mac Miller.